October is the time of year where I start to take stock in all of our programs, review my notes from throughout the year, and begin forming plans for 2016. One area that is always on my thoughts is Elcona’s Audubon program. 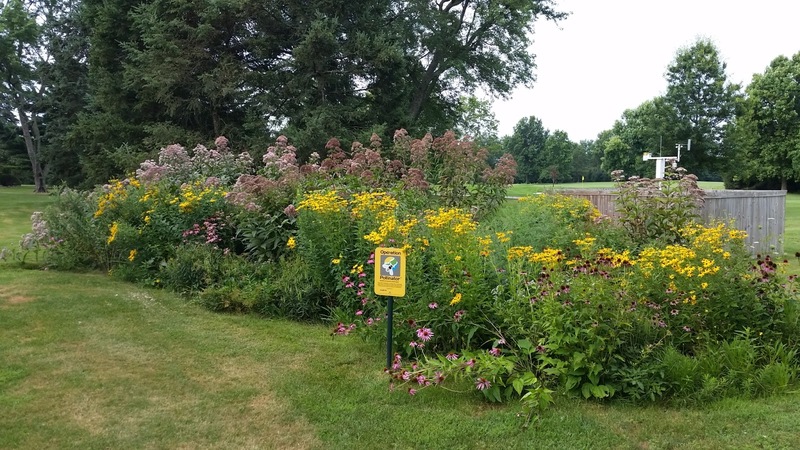 This year our goal was to complete 4 main projects, two of them were centered around increasing pollinator populations. This past winter, my assistant Kyle and I built 3 wood duck homes and placed them along ponds on #’s 3 and 14, as well as deep in the woods north of 13. 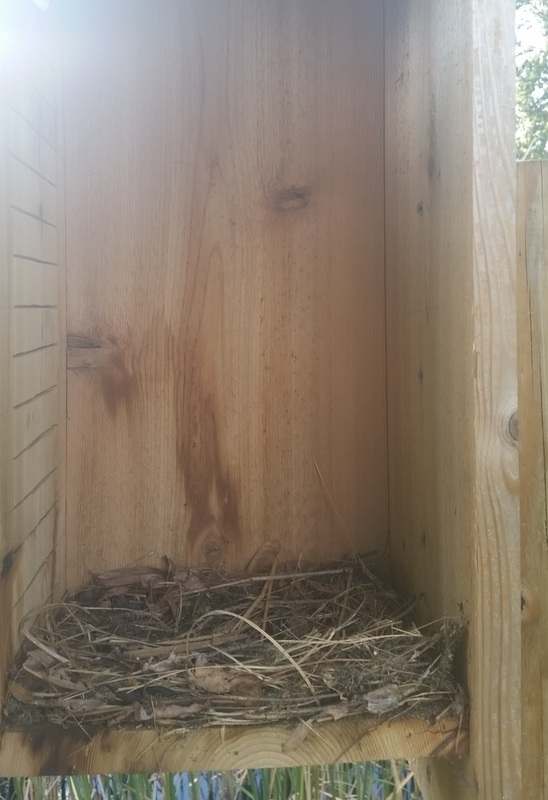 Both houses had evidence of bird activity this year, as the picture on the left shows, but this nest building was from other birds. 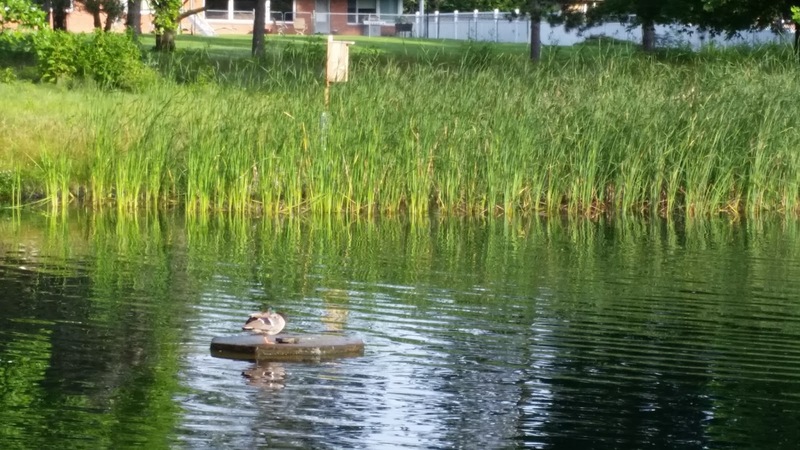 One observation from a member was that #3’s house was located too close to golf traffic and made it unattractive for wood ducks, which I agree with. We will be moving it farther south away from #4 tee. My hope is that someday ducks will utilize these as safe havens to produce their offspring. The Seed to Feed garden that I have mentioned multiple times over the past year was a dual achieving project. 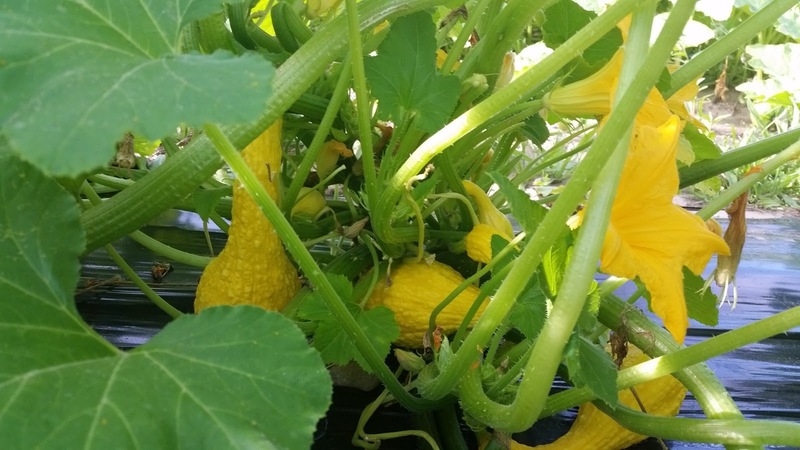 One obvious achievement was that, thanks to all members who volunteered their time to maintain it, 6,129 pounds of cucumbers, yellow squash, zucchini, and Dickinson pumpkins were harvested and given to our local food pantries. That is an awesome amount of produce for our first year. Also, the garden also served to increase the area for pollinating insects. One third of our world’s food supply is dependent on the help of pollinating insects. Their populations have decreased some 30% over the last few years, due to multiple biotic and abiotic stresses. 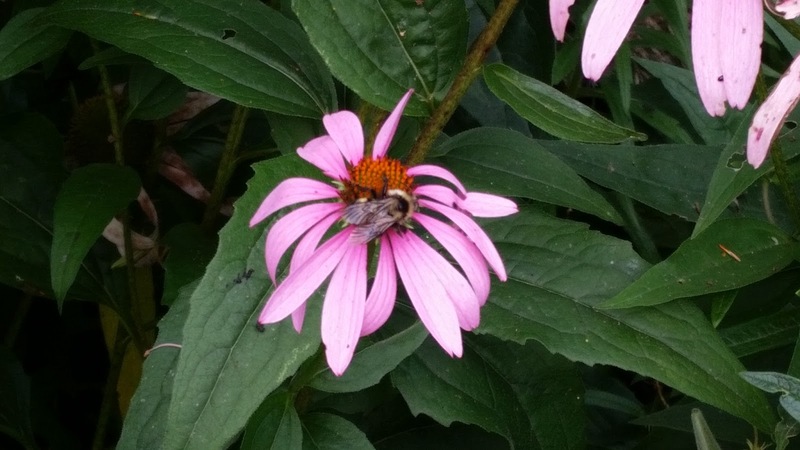 By planting many areas of flowering plants, Elcona can help sustain the local bee population and continue to be a good steward of our community’s ecosystem. 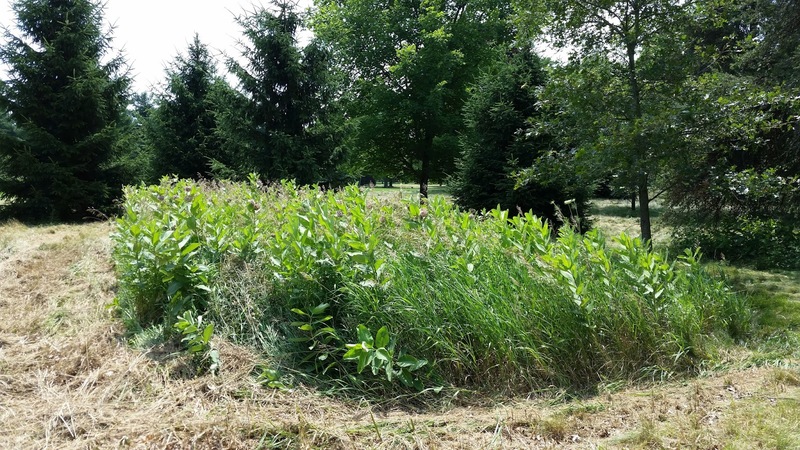 There were spots in our native areas that we left unmown all year that contained significant milkweed populations. 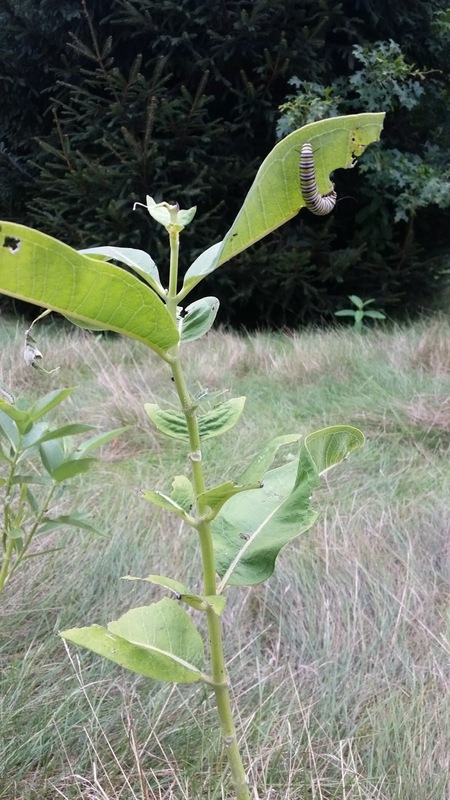 Milkweed is the main food source for Monarch butterfly caterpillars. 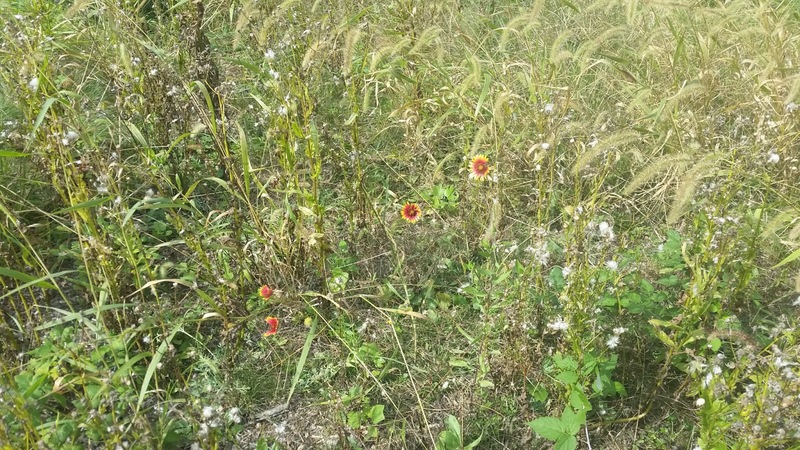 This provided some nice habitat areas for these butterflies to flourish and complete their transformation to butterflies. 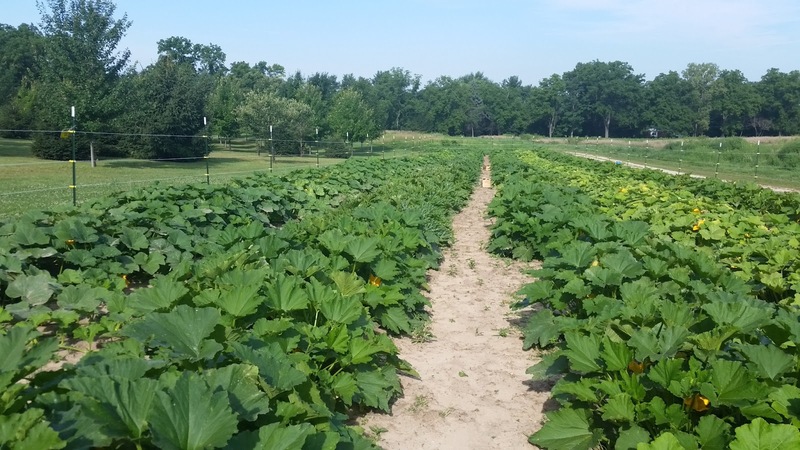 We have also multiple areas of wildflower plantings that are in various stages of maturity. The rain garden that was built in 2012 thrived again this year, with some plants (swamp milkweed) reaching 10 feet in height! There were days that over 100 bees and other pollinators could be seen flying flower to flower, a neat sight for sure. 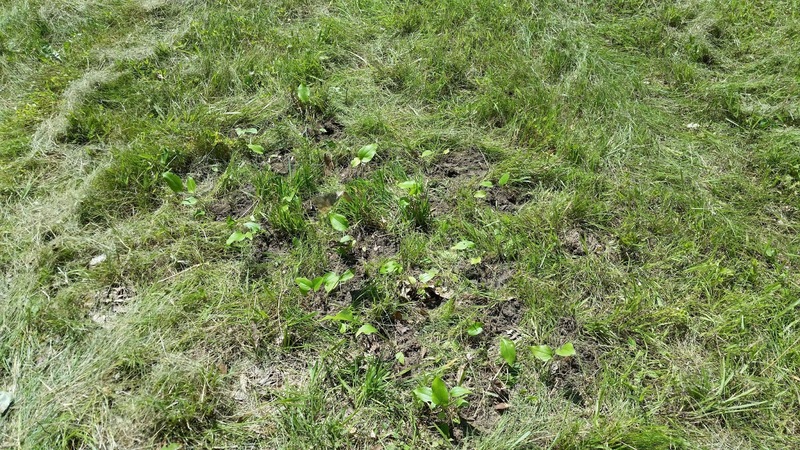 Wildflower plugs, consisting of cone flower, butterfly weed, and foxglove beardstongue species, were planted west of 12 green. 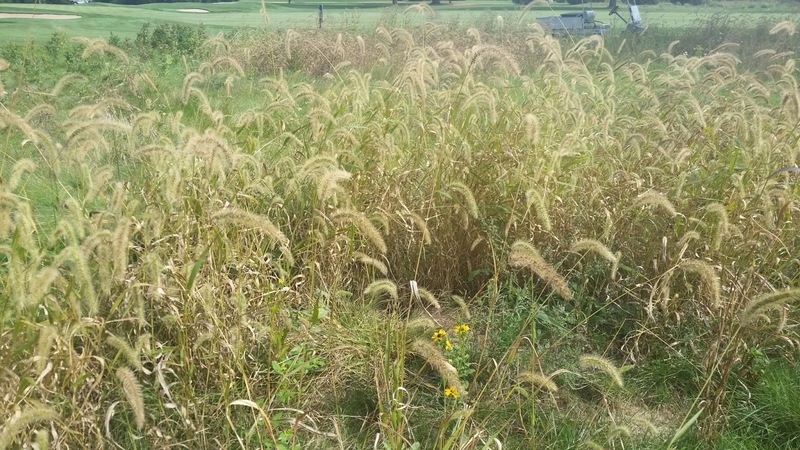 These plus will, over time, spread via their seed and also provide some great color for that area of the golf course. 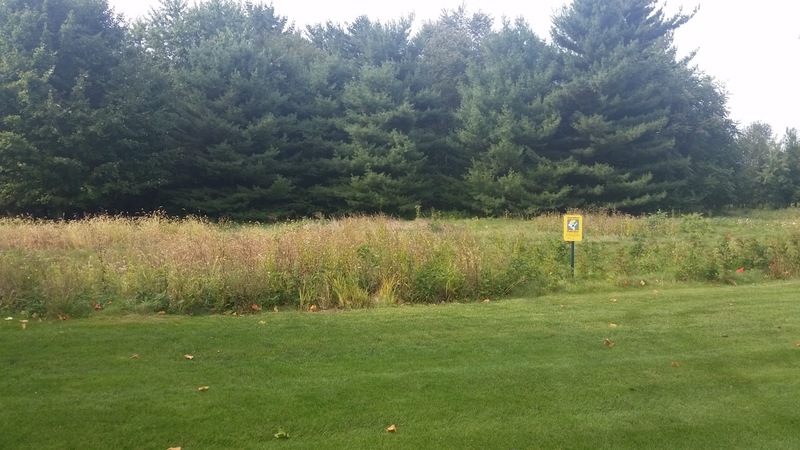 We also seeded additional wildflowers to the left of 16 in our designated “Operation Pollinator” area, as a test of establishment in this fashion. 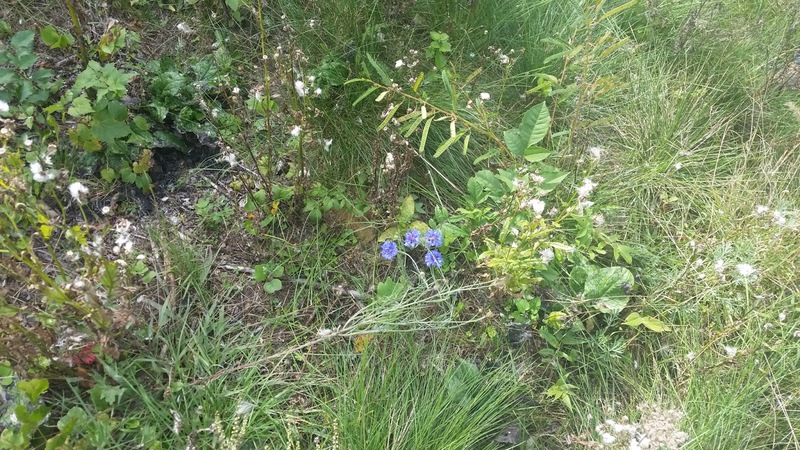 While this area does not look like much is going on except for fox tail and thistle populations going wild, we are seeing 8 species of different wildflowers taking shape, as the pictures below indicate. The areas that I planted plugs in last year produced some flowers this year, and began to spread in area, albeit very slowly. My plan of attack in this area for next year is to renovate the areas that have weeds and grasses in them, and reseed with a wildflower/bluestem seed mixture. This will decrease the thick grassy weeds and thistle and hopefully provide a more uniform stand of grasses and flowers. 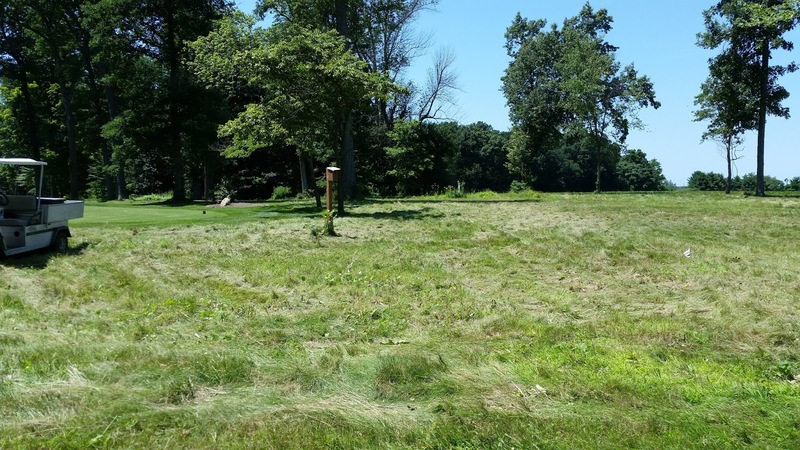 Also, we will be much more proactive in removing any weeds in this area that do germinate. 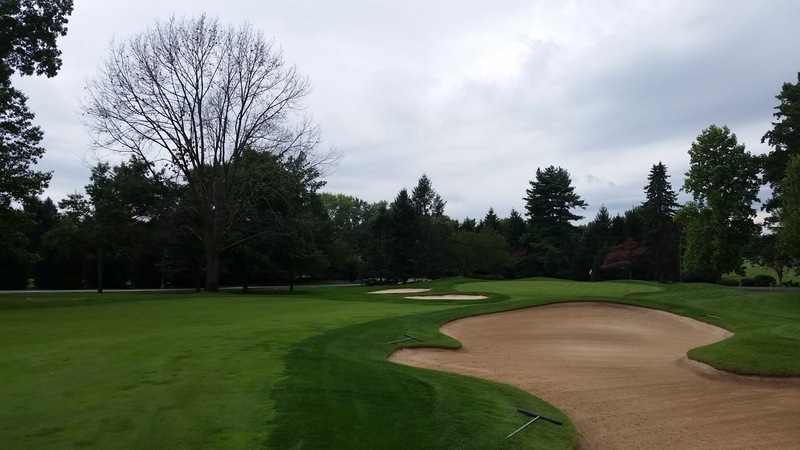 Finally, we will widen the area of play to create a little more space between the native area and the fairway for any wayward lay up shots, as currently there is only 12 yards between the two. Our final project was to invite a local birding group for a nature walk along the club’s nature trails. 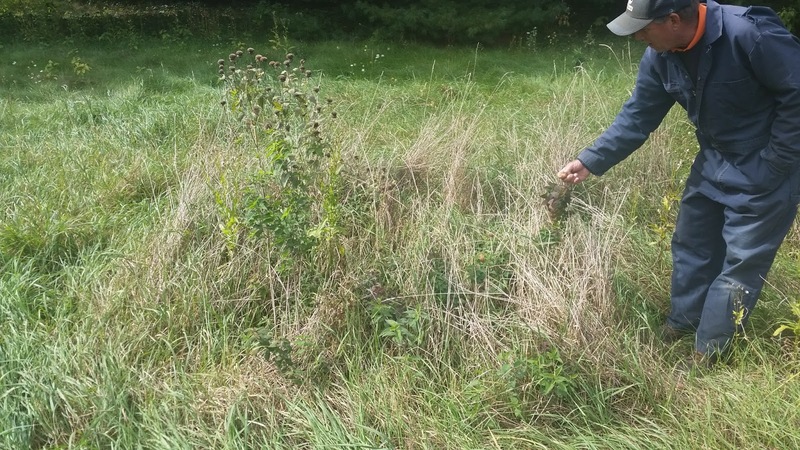 In late May I hosted two individuals from the South Bend/Elkhart Audubon Society, and while they were impressed with Elcona’s property and efforts, we were not able to get on their calendar for this year. Tentatively, we are on their 2016 calendar for a group visit. Speaking of 2016, Elcona’s Audubon committee is meeting this month and will consider many ideas that I will share as the year draws closer to an end. You can be sure that all will further emphasize Elcona’s commitment to both its local ecosystem and the well being of our community. I appreciate your continued support and participation in Elcona’s Audubon program, and for giving me the opportunity to learn and grow as a steward of this great property. If you have any questions, please contact me at ryan@elconacc.com. I am sure most of you have noticed the oak tree near 1 green that has rapidly defoliated over the last two months. I have had a couple of outside experts look at this tree in the last couple of weeks and their consensus is that the tree succumbed to Oak Wilt. Oak wilt is a fungal disease that affects the vascular system of the tree, and is spread via insects and by root grafts (or conjoined roots of two oak trees) in the soil. We will be removing this tree when the ground freezes as part of our annual tree work and monitor the surrounding oaks for potential infection. The staff and I have begun the process of preparing the turf for winter. 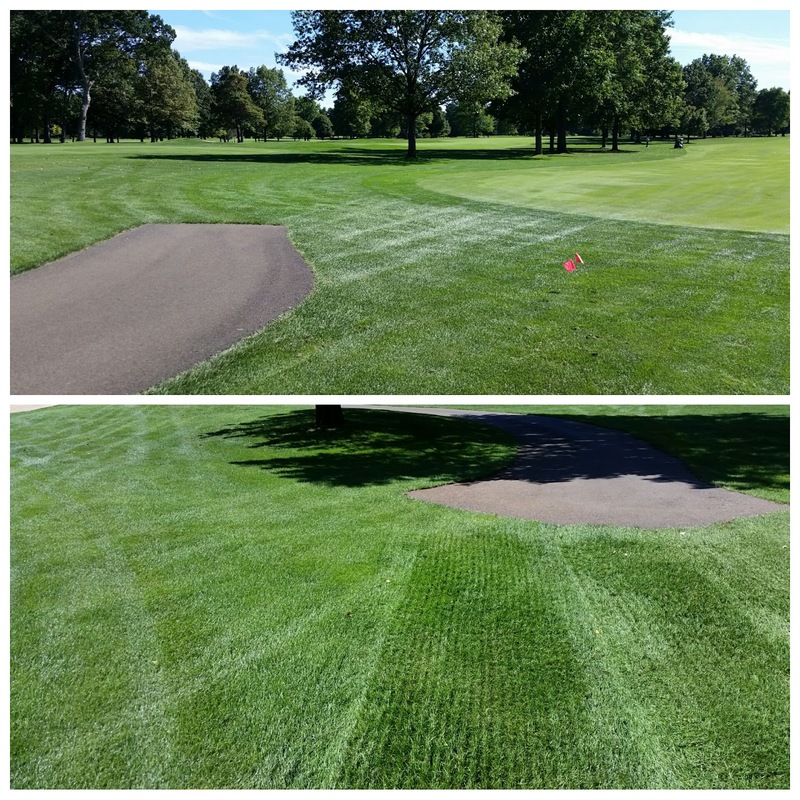 We have aerified tees and are in the process of aerifying cart path entrance and exit points, which help alleviate the strain that turf takes from in-season play. 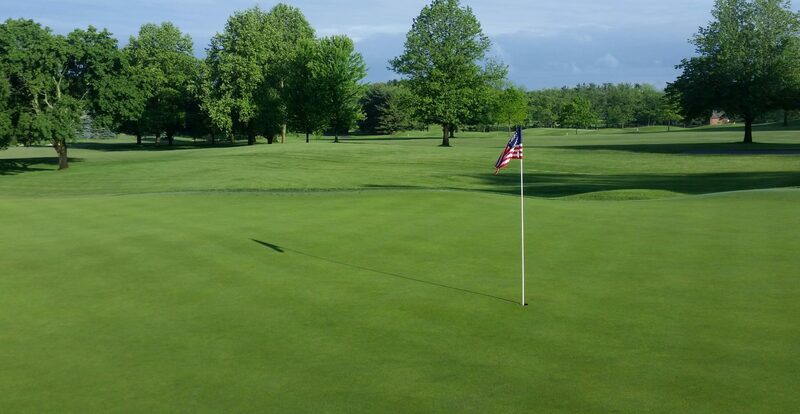 As a reminder, greens aerification will take place on October 8th and 9th, weather permitting. The first day we will be working on the front 9 greens and the large practice green, with the other 10 greens aerified the following day. If there are any changes due to weather, I will communicate those to you via the blog. Fairways will be aerified the week of October 12th, again weather permitting. The staff and I appreciate your patience and understanding during this necessary agronomic procedure. If you would like more information on the benefits of aerification, please click here for a great video from the USGA that identify the methods and reasoning behind aerification. Fall is the best time to apply fertilizer to any turf, whether it be your lawn, or the turf out on the golf course. Applications have already taken place to tees and green surrounds. Greens and fairways will be receiving additional feeding through our sprayers as the month progresses to help build carbohydrate storage in the plant for winter. If you have any questions, please email me at ryan@elconacc.com.